Figure 2-47. Operating the backhoe (sheet 1 of 2). Figure 2-46. Operating the clamshell (sheet 1 of 2). Figure 2-47. Operating the backhoe (sheet 2 of 2). 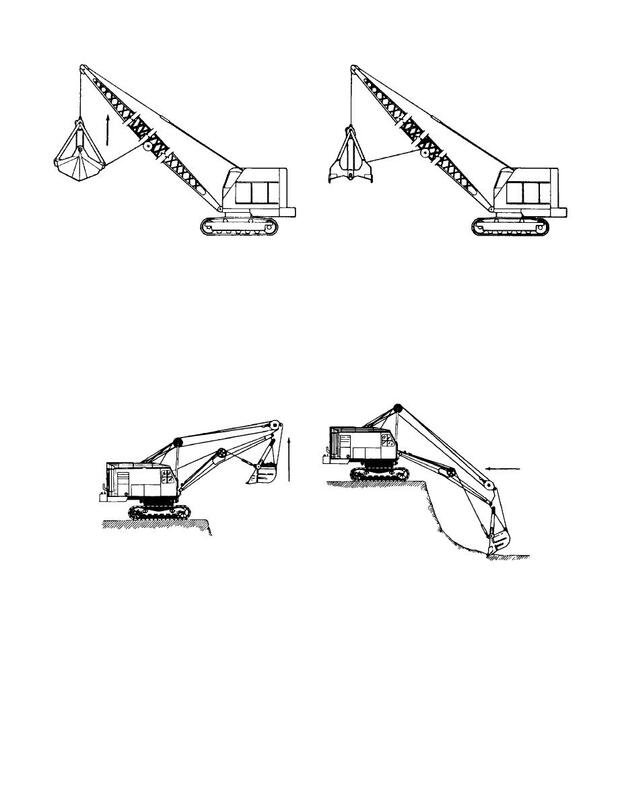 DUMP BY RELEASING HOIST BRAKE. Figure 2-46. Operating the clamshell (sheet 2 of 2). THAT DRAG CABLE FOLLOWS DIPPER.